The murmurs are quite strong regarding the potential departure of Alexis Sanchez from Manchester United. The former Barcelona forward has simply not lived up to his expectations at Old Trafford, and as a result, his image has suffered quite a bit. 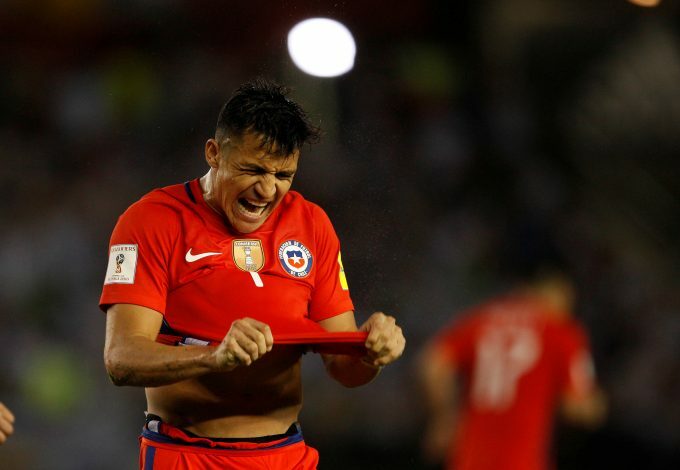 Fans that were initially ecstatic at his arrival now appear visibly frustrated, for the Chilean international has only four goals to show for his tremendous wage package. However, for country, his luck may be slightly different in terms of performance, and with regard to fan support, it almost certainly is a contrasting picture. Sanchez was in action against Honduras, a game that Chile won 4-1. The South American scored the 41st international goal of his career, albeit from a penalty kick, and that too from a rebound. Nevertheless, his goal, which secured a 3-1 lead at the time, was well-received by supporters, and one young boy, in particular, rushed onto the pitch to celebrate with Sanchez. Rather than chide him, Sanchez put his arm around the lad and invited him into the dressing room after full-time. In the room, the former Gunner gifted the boy his shirt and boots in a touching gesture that left the young fan in tears. Jose Mourinho had kept Sanchez out of action for quite a while, waiting for the forward to regain peak form before being gifted regular first-team starts. While his international break wasn’t the most remarkable of feats, combined with the fact that the goal he scored did come off of a penalty, may have a slight bearing on Mourinho’s decisions for the team he’ll field on Sunday against Crystal Palace. Then again, who knows what will happen by then.